Planning and Communication are important aspects of our Service and we work hard to provide you with a great overall painting experience from start to finish. 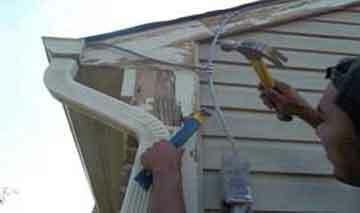 Using a professional painting contractor takes the stress out of painting your home. Regardless of the type of work you need done, planning based on the unique requirements of your job is important for things to go smoothly. You can Contact Davinci's Painting via phone, website, and email. Davinci's Painting Offices are staffed 7 a.m. to 6 p.m. Monday through Friday. If you call us during Business Hours, you will be able to speak with a Live Person to answer any questions you may have. During the Initial Contact we will schedule an Appointment with you and an Estimator. For your convenience, you call also schedule a Consultation through Rapid Connect or the Estimate Contact Form on this Website. 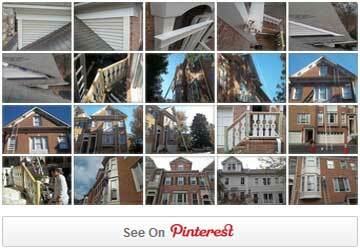 We would be be happy to speak with you about any painting project you are considering. 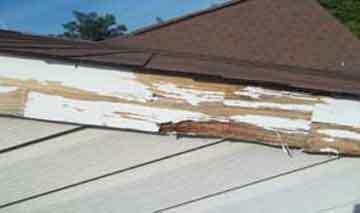 Most Homeowners have a myriad of questions concerning the Painting of their Home. Sometimes People have questions about color, scheduling, and the actual Painting Process. We also would want to discuss the Scope Of Work and how our Processes would minimize possible disruptions for your life. This especially holds true for Interior Jobs whereby Residents are occupying the Work Space. Sometimes Interior Living Spaces need to be restored to their original condition at the end of each day. Other times, the Residence will be vacant for a period of time. If time is of the essence, we can provide a Written Estimate for you immediately following the Estimate Appointment. If you have an Exterior Project, and an in-person appointment is not necessary, we could email you or fax you the Estimate. You could also retrieve your Estimate online (Click the Client Area then Client Forms). Our Estimate describes in detail each Process that we perform, as well as, the specific Areas of Service. After a few days we usually follow up with a potential Customer in order to be sure that everything is clear on the Estimate. Once a Proposal is accepted, we will contact the Client shortly thereafter to schedule the Job. In most cases we appreciate the opportunity to meet again in person to finalize the colors, the schedule, and the Project Plan. One of our goals is to minimize disruptions for the Family Members living in the Home. This is why we recommend a brief Planning Meeting to discuss all the details. Some details include: daily start and finish times, furniture considerations, young children and pets. Approximately 1 week before the Estimated Start Date, a Project Manager will contact you to be sure that everything is ready for us to start. Sometimes weather delays or other family situations can occur, and it would become necessary to set-up a new Start Date. Usually at this point, most of the colors have been selected and any other start-up concerns have been resolved. We will also inform you about the Team and what should be expected on our first day of work. When our Crew arrives, ON TIME, you will be first be introduced to the Crew who will be working at your Home. Likewise we will want to meet the Homeowner if they are available on that day. 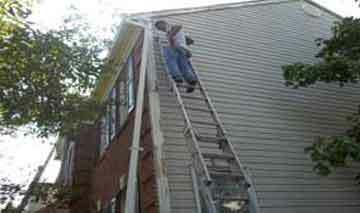 It is important that some type of Working Relationship be established between the Homeowner and the Job Foreman. Since the Foreman is the most experienced Painter on the crew, please be sure to direct any painting or job-specific questions directly to him. Once we begin the Project we will inform you of the progress on a regular basis. Although it can be interesting and fun to watch the Painting Process taking place, often times this can cause a distraction and possible hazard for the Painters. The beginning of the day or at the end of the day are the best times for us to answer your questions. Our Foreman will be on the Job working alongside our Painters, and he and can give you the best information regarding our progress. 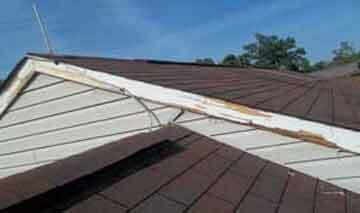 In some cases when we are high upon our Ladders, we discover problems like wood deterioration. Other times a Homeowner could decide that they want to change the color that they had originally selected. These things are unplanned, or perhaps could have been things not known during the Initial Estimate. Whenever there is a change in the original Scope of Work, we are required by law to provide to the Homeowner a Change Order. This Change Order would describe in much detail the change or addition of Work for the Job. That being said, there could be a reduction or increase in the Overall Price for the Project, and the Project Schedule could be subject to change as well. We make sure that any touch-ups are completed promptly. The Homeowner and the Foreman can work together to put together a Punch List of Items which should be touched-up. Seeing things alongside with the Homeowner prevents any confusion about things that need attention. We want to ensure your satisfaction with our Work. The Final Walk-Through will usually take place on the day we finish all remaining Touch-Ups and Punch List Items. 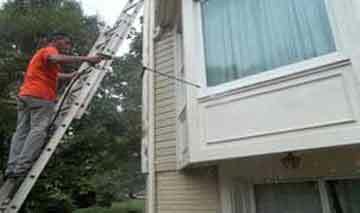 For us, additional Touch-Ups are not a problem and will be made on the spot. After walking-through and checking the Job one last time, we would then issue the Homeowner with an Invoice and request that the Final Payment be made. We would very much appreciate that the Homeowner to complete a Job Evaluation Form once the Project is completed. Your written feedback is very important for everyone in our Company. In particular, the Crew benefits from your evaluation and comments. The Evaluation Form can be downloaded from the Client Forms on the Website or one can be emailed to you.